Bulworthy Project is also a venue for courses and events. Take a bow or charcoal making course or enjoy the pop up café in the woods, there are plenty of activities to enjoy. There are chickens and sometimes pigs to meet and from some places in the woods you have a view of Dartmoor on a clear day. The position of the woods, being in an unpopulated area just south of Exmoor makes it one of the best places in the country for stargazing. Bulworthy Project holds a gold award from Devon Wildlife Trust for working to benefit Devon’s wildlife and natural environment and every aspect of the enterprise has been thought out with the environment in mind. Bulworthy has been awarded gold award by Green Tourism. 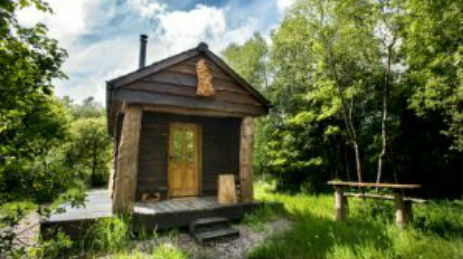 The cabin is handcrafted from wood, some of which is the product of Bulworthy Project’s own woodland work. From the rustic frame of naturally fallen heartwood oak at the front of the cabin to the window ledges of cherry wood harvested as part of restoring an area of coppice, every part of the building combines the highest standards of ecology with the exquisite beauty of wood. The woodland is managed for charcoal, and you will find a bag of charcoal waiting for you when you arrive. Using a shave horse and a draw knife to make a bow. Matthew Yung who teaches our bow making courses has an infectious enthusiasm when it comes to manipulating the properties of wood to make an efficient and well designed bow. This course is designed to teach the skills required to make a bow and people on the course leave with a simple but fully functional and beautifully engineered bow made from hazel. Everyone is also provided with an arrow so that they can use their bows. This is a fantastic taster day and gives the opportunity to spend a day in the woods learning a new skill. This course provides the opportunity to make an impressive flat bow similar to the Holmgaard bows which were made around 5,000 years ago. You start on day 1 with a quarter section of a length of ash. After 3 days of whittling, tillering and working with the wood, you will have a bow that is not only a fully functional, but a beautiful object in it’s own right. Camping overnight and all of the food that you require for your stay is included in the price along with plentiful tea/coffee and cake/biscuits. 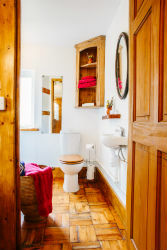 For those who require a higher level of comfort, it is possible to book our cabin. 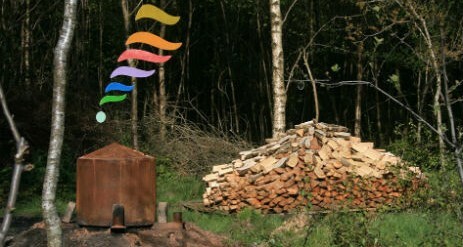 Charcoal making has formed the majority of our income for the last decade and since 2010 we have developed a charcoal course that has allowed a number of people to run charcoal making businesses and a lot more to have a great time in a woodland setting learning a new skill. The course is run as a charcoal making day with the option to stay overnight to sit around the campfire in the evening and see the kiln closed down in the morning. For anyone not staying over, we have a smaller kiln that can be closed down during the day so that everyone gets to see the whole process. The experience is fully catered using local produce cooked over our own charcoal. 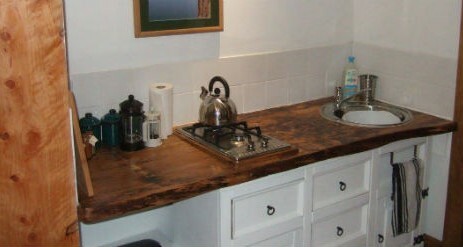 We have a licensed bar for those staying over. Although we always hope for good weather, we have sufficient undercover space to run this course in the dry in the case of rain. We have a maximum of 6 people per course to ensure that everyone gets the tuition and attention that they deserve and we will never cancel a course once someone is booked on. Sorry, but dogs are not allowed to attend our courses for environmental reasons. Bulworthy Project invites you to an evening in the woods with great food and drink, fireside storytelling by Tales From The Dragonfly and alternative Spanish guitar by Jules Moberly. 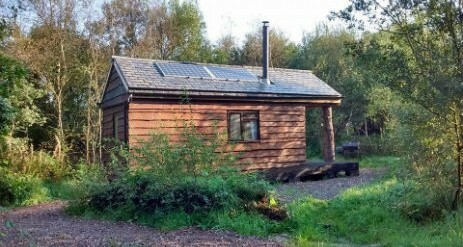 Celebrating 10 years of living in the woods by having an open day. 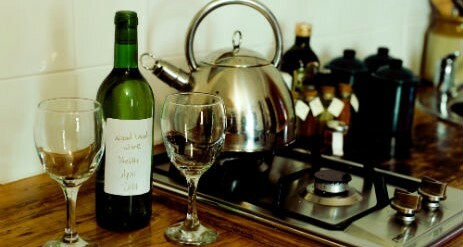 Food and drink will be available, made using great locally produced ingredients, cooked over Devon’s finest charcoal. Sweet treats, alcoholic and soft drinks will also be available. The day will feature some of the amazing people who have been part of making Bulworthy Project what it is today. Only a few miles from Exmoor, this is a great spot from which to explore. Local pubs include The Stag, Rackenford and The Mount Pleasant Inn, Nomansland. 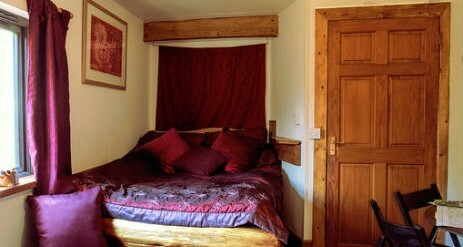 Also, less than 10 minutes drive from the cabin is the Michelin starred, Mason’s Arms. 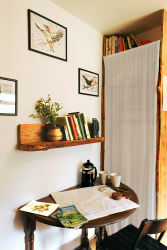 You can also enjoy the seclusion of the cabin’s position in the woods and the luxury of such a well thought out space.